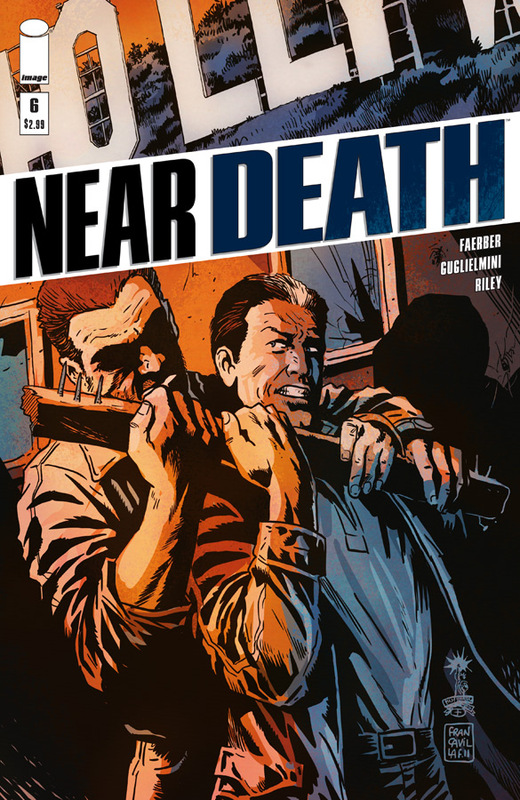 The Fellowship was fortunate enough to obtain a copy of NEAR DEATH #6 from Image Comics. Jay Faerber writes, Simone Guglielmini pencils, Ron Riley colors, and Charles Pritchett letters. This book is about Markham, an assassin who had a change of heart after a near-death experience. This issue is the first of a new arc, in which Markham is hired by a former DA who wants to run for office. If he can stay alive long enough, that is. This is definitely an action book, but it’s got a great noir feel to it. Markham does the ‘hired gun with a heart of gold’ well (reminds me of Mike Hammer), and the book has plenty of gunfire and even a car chase. It’s got some humor and some darkness to it as well (there’s a scene where he’s questioning a guy, and patience isn’t one of Markham’s strengths). And it all folds together to make for an interesting crime drama story. I like this book; it connects on multiple levels, including the art, which fits the noir feel really well. I’m looking forward to seeing this arc develop. 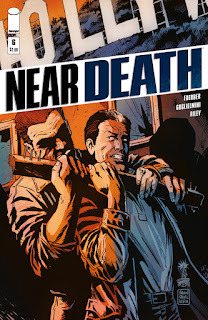 NEAR DEATH #6 is available now at your FLCS or by order from imagecomics.com.